We've got a brand new artist on the Beyond Buckskin Boutique site and he's a really cool dude named Paul Rowley. He's Haida and Tlingit and he creates cool hats in classic fashion forms using traditional cedar bark weaving techniques. BB: Thank you for taking the time to answer some questions. I think what you do is so interesting and an important artform. When and why did you start weaving hats? PR: I made my first hat in May 2008. 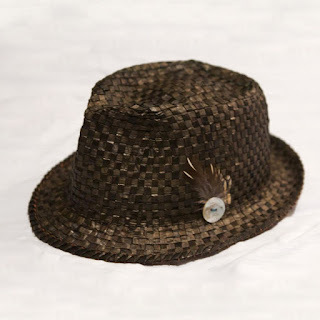 I attended a cedar bark hat making class, and immediately set my sights on making a bowler hat. BB: I can't imagine what it's like to weave a hat - can you tell us the general process you go through to create your hats? PR: I consider my materials and my weaving ability and then I start learning more from there. In any direction I go there is so much to learn so I really try and be open to the materials and the small things that progressively add up to something really important. I like making hats to experiment and see where the weaving takes me. I also like it when I get crafted prompts for hats. 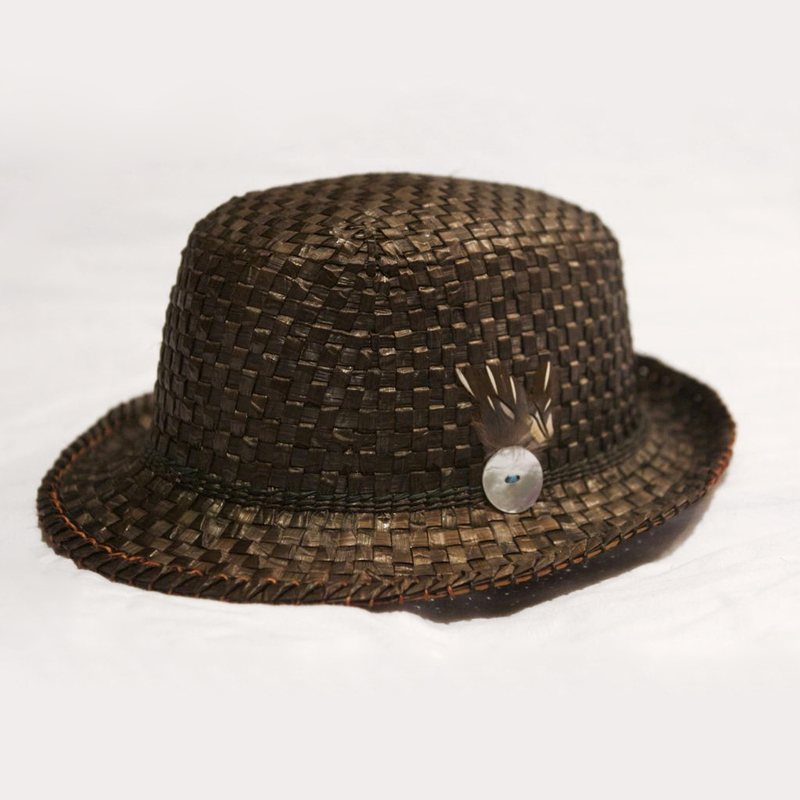 I made a hat for my cousin and she wanted an Indigenized modern cedar bowler hat. For me that was fun because of the tradition among so many Indigenous cultures due to the timing of contact, fashion trends, and economies. I think it’s fun to revisit some of these hats and have them be a part of telling Native history while Indigenous fashion stays relevant and smart today. BB: That's an awesome way to look at it! Yes, I see your work as playing an important role in both Indigenous fashion but also in the broader global fashion story. I see you as a fashion designer - a guy who is using traditional Indigenous techniques and concepts to create fresh modern fashion. What matters to you most as a fashion designer? 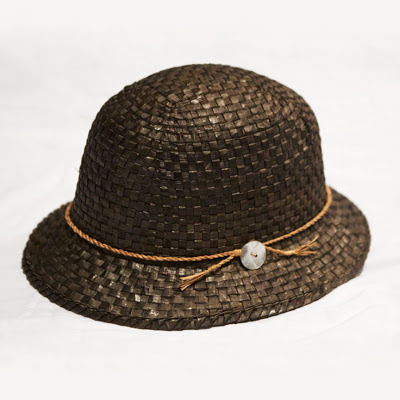 PR: For me it’s that I keep learning more about weaving and millinery. I enjoy learning the history of Native hat making and the significance of headwear in general. 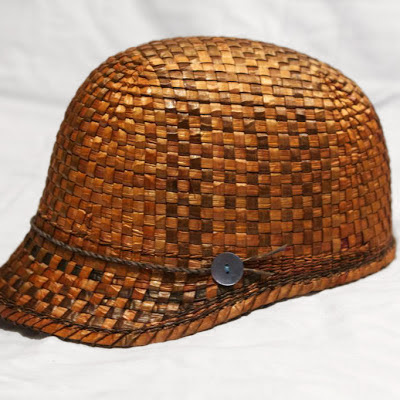 It really fascinates me to see what is possible in a fairly simple cedar hat, and how that transfers over into headwear in general. It’s just a universal thing to cover one’s head and have it become meaningful. I think more than anything is being open and willing to take the presented opportunities to learn more. 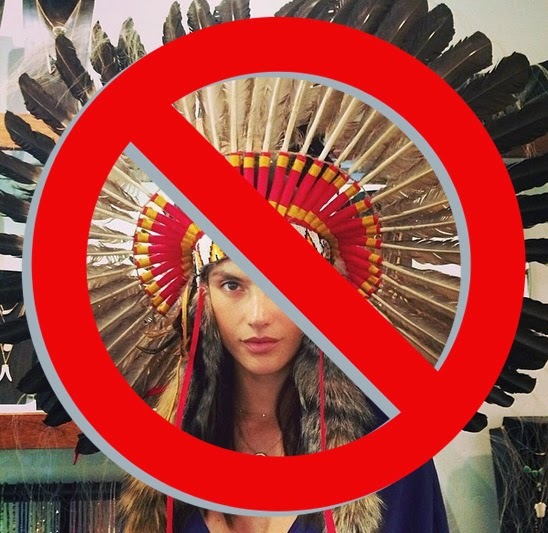 Like the hipster headdress and the uproar from that gave me the insight to learn more about headdresses from my tribe. Since they fall within headwear I want to really know more about what it is that makes them important, so that is one direction that I am taking with education. It is fun and relevant today. It is really impressive learning about the significance of covering one’s head. I like considering all of the opportunities and fortunately that means I have an opportunity to learn traditional forms and participate with Indigenizing modern fashion. BB: That's a really interesting concept to understand - that many cultures put value in various headwear. When you put it that way - it opens up a lot of possibilities. What or who is your inspiration? PR: I get inspiration knowing that I’m building something with weaving and hat making. I’m not sure exactly what it is right now, but I know teaching it to my son and learning from others makes me want to keep learning. I feel really fortunate to have had many weavers help me out with materials and knowledge. I get inspired by anyone who I’ve learned from who is dedicated to their craft and committed to pushing the bounds of their work. BB: I agree - dedication is so important, and I really like that you appreciate 'pushing the boundaries,' and we see that in Native fashion, which is experiencing a 'blossoming' right now - What does "Native fashion" mean to you? PR: Right now Native fashion is somewhat of a battleground that is taking place to see what “Native fashion” will be. There is such a desire for Native and Native themed looks right now. I thought it would be a fast fashion fad, but it appears the appetite for “Native fashion” is continuing to grow. I don’t think it’s a bad thing either. I think it’s more of a renewed interest in modern Native iconography, but there is a real interest in Native design which is really a positive thing. I think back to the Native Pride hat and wolf t-shirt and how even those held their place at one time and now are very humorous, even if not everyone knows why they are hilarious, they are still great items. I see the humor in Native fashion often, but it really is an area where Native’s have been very vocal and articulate in deciding how they will be portrayed. 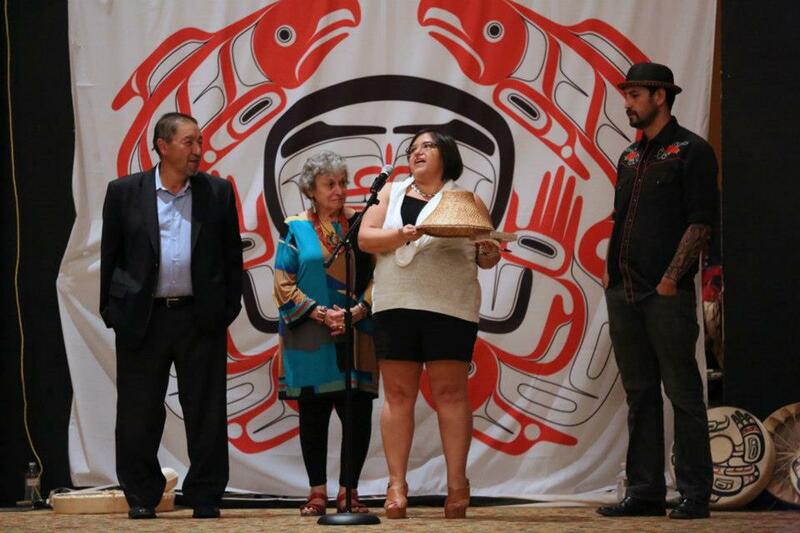 That voice has been very important in protecting Native design and Native art. But really the true “Native fashion” is the work of artists who are rooted in their traditional arts and are making them available to many audiences in contemporary forms. BB: Ah yes! I love a great artist who is rooted, and makes old ideas new again and relevant in today's society - and we live in a time where we can see that happening in Native fashion and art. Who are your favorite Native designers or artists? PR: There are so many for so many reasons, but recently I’ve been seeing some really innovative work from Native designers and artists like Louie Gong, Alano Edzerza, Virgil Ortiz, and the artists that give me aesthetic inspiration are artists like Wendy Redstar, Sheldon Skillie, and Donna R. Charging, and this question isn’t fair at all. There really are so many talented Native artists doing very impressive work. For my favorite non-Native designer is Dayna Pinkham. Her knowledge and openness to millinery is inspiring. BB: Well it seems to me that you have a bright and exciting future ahead of you - What's next for Mister Rowley? PR: I want to continue studying hats/headwear and see where I can go from there. There are other materials, methods, and traditions to learn from so I am keeping an open mind and enjoying myself while learning. I am currently working on a project that will eventually lead to Chilkat woven hats, which is really exciting. BB: Ok, this last question is one of my favorite questions - What is something that a lot of people don’t know, but should know, about your community? 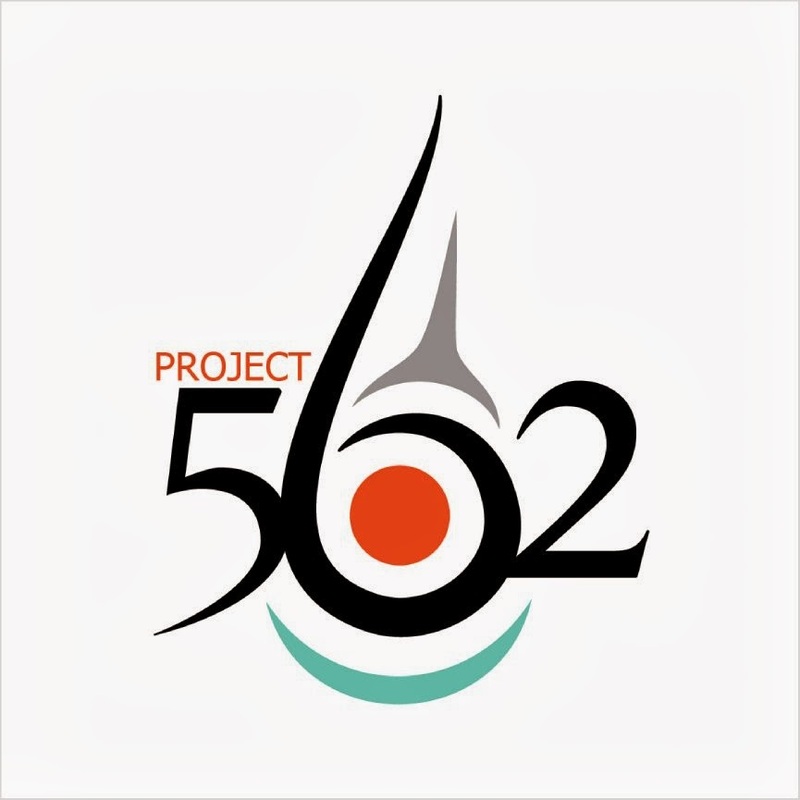 PR: I consider my current community other young artists that are using traditional form to create their stories. I think people should know that there are artists out there that have been focused on their form and craft and not to overlook their art. It’s unfortunate to see what happens often with rushed uses of Native design. It can get weird really fast. There’s nothing more uncomfortable than hacky Native art that doesn’t know it’s hacky. So I think with so much surrounding Native art is to be educated, discerning and respectful to the many forms, traditions and directions people are taking their work. Thank you Paul Rowley for the awesome interview! 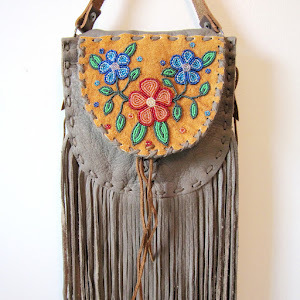 You can check out his work online at the Beyond Buckskin Boutique by clicking here.